Tutt Bryant Equipment has announced the Australian release of the new Kato MR130 (13 tonne) City Crane which the company says features a number of significant changes to suit Australian legislation and markets. The new Kato MR130 crane distributed by Tutt Bryant Equipment features changes to suit Australian legislation and markets. According to Tutt Bryant, the crane still contains many of its predecessor's functions despite the modifications. The MR130 features a six section boom to 24 metres, fully hydraulic offset fly-jib (5-60 degrees), joystick controls, common rail diesel engine and a new model transmission with improved gradeability. Kato Crane Product Manager at Tutt Bryant Equipment Ian Eyres says while there are numerous domestic Japanese models of the crane currently operating in Australia, it was necessary to request that Kato produce an Australian version that was 100 per cent compliant with the country's legislation. Tutt Bryant has been a Kato dealer for almost 30 years and according to the company, the new model has taken in excess of 16 months to complete. The newly released crane is supported with a full Kato factory warranty and national support through Tutt Bryant Equipment. 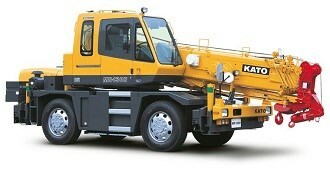 For more information on the new Kato MR130 crane, visit Tutt Bryant Equipment's website.